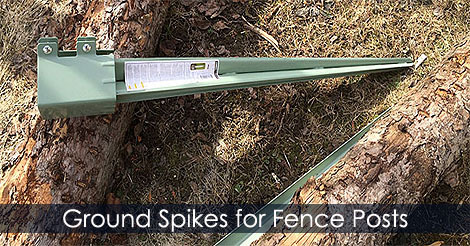 The metal spikes or ground spikes are used for anchoring and to hold the base of a wooden fence post. 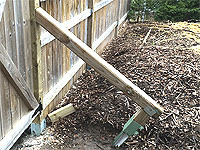 It's an economical way for fixing fence posts. No need to dig holes and pour concrete. You can buy them from a hardware store for cheap. 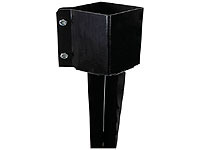 This type of post spike can be used for making post bracing system too. Learn how to choose the right post anchor type for a garden wooden fence.